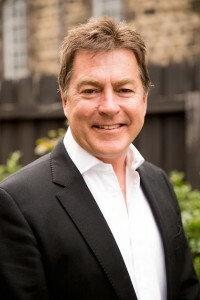 Peter trained as a general paediatrician at the Royal Children’s Hospital Melbourne gaining his fellowship (FRACP) in 1989. He then pioneered specialist paediatric services in Central and East Gippsland. He established and designed neonatal and children’s wards at Sale and upskilled medical, nursing and allied health staff to create a well-respected Paediatric Unit covering that region. In 2006 he resigned from the Central Gippsland Health Service to create the multidisciplinary Gippsland Paediatrics, concentrating on Type 1 Diabetes, allergy and general paediatrics. 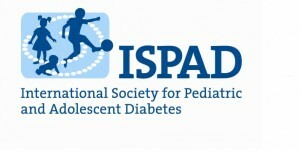 Peter is a member of the International Society of Paediatric and Adolescent Diabetes (ISPAD) and Australian Paediatric Endocrine Society (APEG). Peter has been a member of the ISPAD/APEG conference organising committee and has chaired ISPAD clinical and poster sessions. He is the co-chair of the Australian Paediatric Society Diabetes Working group and co-organiser of the APS Annual Diabetes Workshop, now in its 10th year. Peter has worked as facilitator with our friend and colleague Joe Solowiejczyk in family therapy diabetes workshops in 2014 and 2015. Peter has a great interest in all aspects of diabetes but particularly establishment of quality diabetes services in regional Australia, diabetes services in schools and diabetes in young adults. He has lectured on diabetes to medical students, general practitioners and general paediatricians and has acted as a consultant for insulin pump companies particularly in respect of pump information interpretation. Jenny is a registered nurse (PANCH 1983) and midwife who now is our Credentialed Diabetes Educator. Jenny completed her Diabetes Education diploma with honours in 2013. She has significant expertise in all types of insulin pump management and continuous glucose monitoring. Jenny is highly skilled at advanced diabetes technology interpretation and trouble shooting. Jenny is very adept at educating the finer points of diabetes management and is diligent in covering all aspects of diabetes nursing during the co-consultation with Peter. 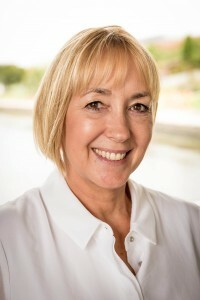 Jenny is a member of the International Society of Paediatric and Adolescent Diabetes, Australian Diabetes Educators Association, JDRF and Diabetes Victoria. She has presented at the APS diabetes workshop and is a regular attender and presenter at school meetings for our clientele with diabetes and loves working positively with school staff. Jenny is an active contributor to DAV diabetes camps as a consultant diabetes educator. Jenny is also the Practice Manager. Jenny’s commitment to the care of children and families with diabetes is above and beyond an ordinary working relationship. She has a very special connection with so many of our families and goes to extraordinary lengths to help people at all times of the day. Jenny has a special way with children to help overcome any anxiety they may have about injections, pump line insertion and CGM insertion and loves the contact with children and families as well as the more independent young adults. 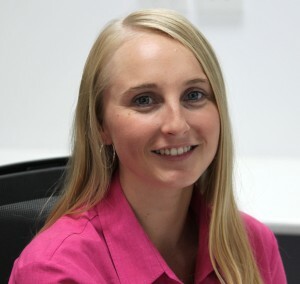 Tahlia has been a valued member of the team since 2008 and is the Office Manager of the practice in Geelong. Tahlia has a good understanding of patient needs and processes required for families with diabetes but will not advise on any clinical matter. Peter managed children with diabetes in Gippsland from 1989 and first attempted to create a multidisciplinary diabetes team in the early 2000s in Sale. However, it was not until 2007 that an efficient skilled team was established. The results of the “RADICAL” team approach exceeded expectations and were published internationally. (See the publications page.) The Gippsland Paediatrics Diabetes team managed over 90% of the child and adolescent population of Central and East Gippsland with Type 1 Diabetes. Our team has presented and lectured on diabetes to many professional (medical and non-medical) and parent groups. Local organisations raised funds for insulin pump therapy for those without private health insurance and we subsequently published results that assisted the government rebate for insulin pumps to be reduced to more realistic levels. We have now presented our work at 7 international meetings. In 2013, Peter and Jenny established the Team Diabetes service in Geelong and in East Melbourne. The service has grown rapidly and in 2015 moved to the base location at Granada Medical Centre associated with St John of God Hospital Geelong. In 2016, our Gippsland service has become entirely outreach.